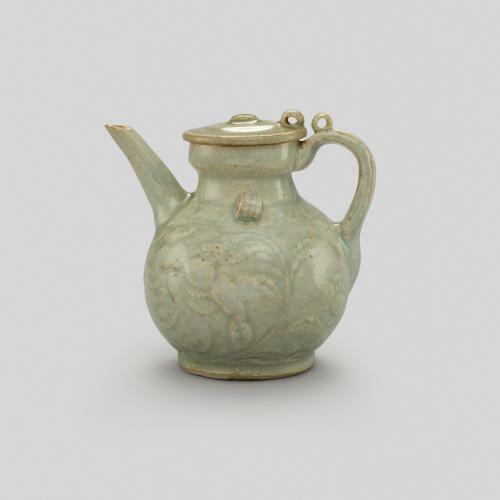 In the south of China, where rich deposits of petuntse (pottery stone) were located, kilns specialised in the production of fine porcelain wares such as this ewer. The surface is carved in relief with peonies, leaves and tendrils, demonstrating the skill of the potter. This type of vessel bears a close resemblance to the form of teapots that were first produced in China in the 16th century. It is likely that prior to the creation of teapots, ewers were used to pour hot water into bowls of powdered tea which was then whisked with a bamboo brush to create a thick, frothy drink. 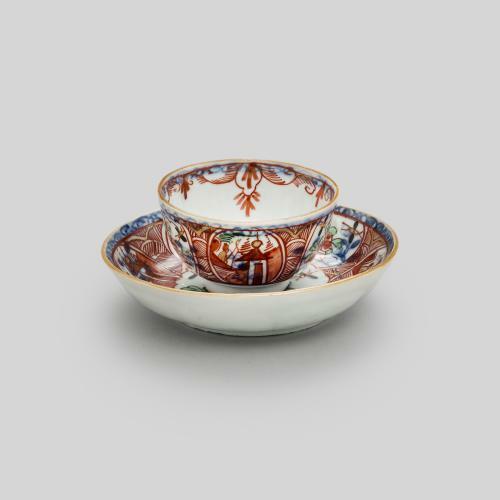 Subsequently, when the use of powdered tea gave way to the fashion for brewing loose tea leaves, ewers were used for the brewing process and thus later came to inform the design of teapots.